H&R Sport Springs for BMW M850i xDrive (G15) | H&R Special Springs, LP. Welcome back! The new BMW M850i is incredible! We love it; style, power and all-wheel drive makes this new 8 Series another icon. Of course, the H&R ride development team couldn’t wait to design a set of Sport Springs for the new 8. Working directly with BMW and BMW Motorsport, H&R has designed special progressive springs specifically for this ultimate coupe. 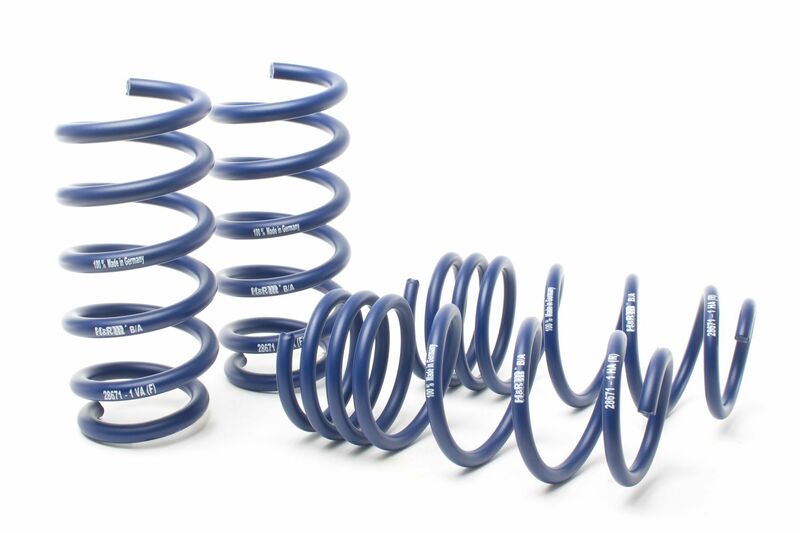 These springs refine handling for a more dialed-in driving experience and superb ride comfort. H&R Sport Springs (part #: 28671-1) lower the BMW M850i xDrive approximately 1.2” front and rear. Reduced fender well gap and lowering the vehicle’s center of gravity improves handling balance and the vehicle’s profile – creating the cool H&R stance. Fabelhaft! Like all of H&R’s products, H&R Sport Springs are 100% made in Germany and use only the finest quality materials and precision manufacturing to maximize service life, and are premium epoxy powder coated for miles of smiles.H&R Sport Springs come with a limited lifetime warranty.